For the better part of a year, soldier Nick Pierzchalski served as a Blackhawk helicopter pilot in Iraq as part of his service duty for the Florida Army National Guard. His role in the war was to transport wounded soldiers to safety which he did honorably, saving many lives along the way. However, one life that he saved was a little different than the rest — a lost dog him and his fellow soldiers stumbled upon in the Iraq desert while they were making their rounds. Pierzchalski built her a kennel in the hangar and named the pup Airys. She would remain with him for the rest of his time in Iraq. When he finished his service in March 2017, Pierzchalski returned to his home in Brooksville, Florida, but Airys unfortunately had to be left behind. The two probably thought they would never get to see each other again, but thanks to the help of SPCA International and Operation Baghdad Pups, that all changed around three months later in June of that year. The organizations helped arrange for Airys to be transported back to Florida, and when she touched down on the tarmac in Tampa, Pierzchalski was right there waiting. Fox News covered the reunion between the pair, and the video is absolutely heartwarming. As Airys is released from the kennel, she immediately runs over and snuggles up against him, her tail wagging away extremely excitedly. It is obvious in the video that she clearly remembers him. “You’re a lot bigger,” Pierzchalski says to the dog as he picks her up and gives her a giant hug. “I can’t even put it into words, I really can’t. I didn’t think I was going to get her home, and they made it possible, everybody made it possible, and it’s just unbelievable, ” Pierzchalski said. 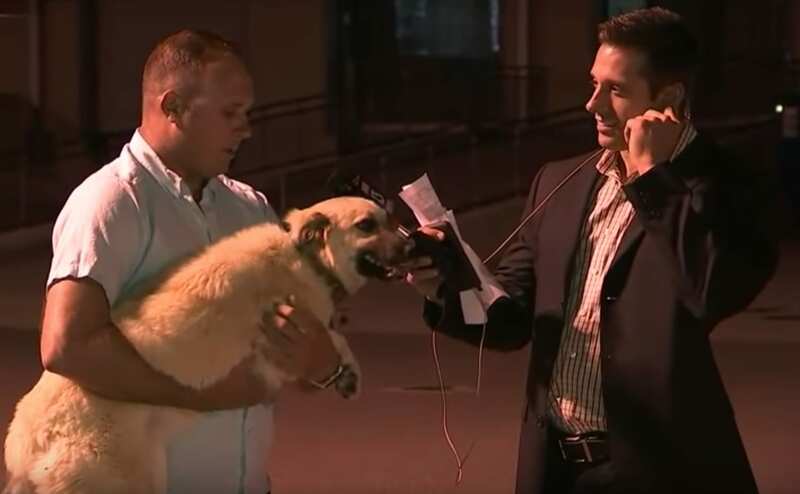 It is always an amazing moment when a pup and her owner get to see each other again and reconnect, especially in a situation like this where no one knew for sure if they would ever be able to make it happen. Pierzchalski added in the interview that he couldn’t wait for Airys to get to see grass, explore, and chase squirrels at their new Brooksville home. For a dog that spent most of her life trying to survive in the war-torn deserts of Iraq, we imagine the relative comfort of Florida is certainly a nice change of pace. However, most important of all is that she now has a loving owner who will be around to take care of her forever. Watch the heartwarming reunion between the two in the video below.